My students have gotten the first of the simple robot bases up and moving. A Wytech Fox11 board and a Solarbotics L298 Compact Motor Driver (H-Bridge) have been added to the bot base, along with the batteries and power distribution (fuse, switches, etc). * – All items above purchased a Home Depot except were noted. They should also be available from LOWES or any good hardware store. Next, drill the bottom piece of plywood for the Closet Door Ball Catch which are used as front and back casters. I drilled a 13/16″ hole 2 inches from the front and back centered on the plywood board. You will need to adjust the spring tension on the ball so it will act like a caster. This can be done by turning the white plastic on the back. The height can be adjusted by turning the entire assembly in its mounting bracket. You want it so the robot’s motorized drive wheels make good contact, but the robot does not teeter when starting or stopping. Then you will need to mark and drill the Aluminum Angle for the two holes needed to mount the motors. I suggest using making tape on the motors, then mark the holes and the center of the drive shaft on the tape, then put the tape on the Aluminum Angle, making sure the drive shaft center is at the 6″ mark on the Aluminum Angle, and drill. You can transfer the holes to the second Aluminum Angle by placing the two back to back and using the already drilled piece as a guide. Once it is all drilled, start with the the bottom placing the bottom plywood, Aluminum angle and then the 1″x2″ board down. Put a nut, lockwasher and washer on the threaded rod, put though the 1″x2″ board, Aluminum angle and the plywood then secure with a washer, lockwasher and nut. Do this on all 4 corners. Then do the same for the top plywood. This base (and two more just like it) were built for use in my Computer Interfacing class at the University of Memphis. I plan to use an H-Bridge circuit, 68HC11 development board (FOX-11), and add Sonar, Line Track, IR Distance and other sensors to the robot for various assignments in the class. PS Thanks to Wesley Harris for doing most of the assembly of the bots! 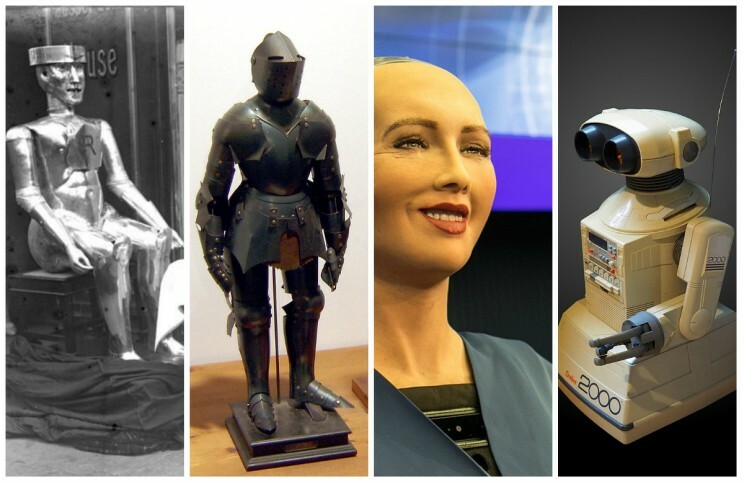 Take a journey through the long history of robots, from the 4th Century BC to today. Robots have fascinated and preoccupied human minds for centuries – from ancient tales of stone golems, to modern science fiction. Though the word “robot” was only officially penned in 1921 by Karel Čapek, mankind has endeavored to create autonomous machines since as far back as the 4th Century BCE. Today, robots are widely used across a variety of industries, aiding in the manufacturing of vehicles and more. According to the International Federation of Robotics, in 2015 there were as many as 1.63 million industrial robots in operation worldwide, and that number continues to grow steadily each year. Here’s a brief history of how robotics have evolved and grown from the early imaginings of 400 BCE, to the global resource they are today. Science fiction authors love the robot sidekick. R2-D2, Commander Data, and KITT—just to name a few—defined “Star Wars,” “Star Trek,” and “Knight Rider,” respectively, just as much as their human actors. While science has brought us many of the inventions dreamed of in sci-fi shows, one major human activity has remained low tech and a huge source of frustration: household chores. Why can’t we have more robots helping us with our domestic tasks? That’s a question that many roboticists and investors (myself included) have long been asking ourselves. Recently, we’ve seen some promising developments in the home robotics space, including Jibo’s successful financing and SoftBank’s introduction of Pepper. Still, a capable, affordable robotic helper—like Rosie, the robot maid from “The Jetsons”—remains a big technical and commercial challenge. Should robot makers focus on designs that are extensions of our smartphones (as Jibo seems to be doing), or do we need a clean-sheet approach towards building these elusive bots? Take a look at the machines in your home. If you remove the bells and whistles, home automation hasn’t dramatically changed since the post–World War II era. Appliances, such as washing machines, dishwashers, and air conditioners, seemed magical after WWII. Comprised primarily of pumps, motors, and plumbing, they were simply extensions of innovations that came to bear during the industrial revolution. It probably doesn’t come as a surprise that industrial behemoths such as GE, Westinghouse, and AEG (now Electrolux) shepherded miniature versions of the machines used in factories into suburban homes. At the time, putting dirty clothes and dishes into a box from which they emerged clean was rather remarkable. To this day, the fundamental experience remains the same, with improvements revolving around reliability, and efficiency. Features enabled by Internet-of-Things technologies are marginal at best, i.e., being able to log into your refrigerator or thermostat through your phone. But before wondering when we’ll have home robots, it might be fair to ask: Do we even need them? Consider what you can already do just by tapping on your phone, thanks to a host of on-demand service startups. Instacart brings home the groceries; Handy and Super send professionals to fix or clean your home; Pager brings primary care, while HomeTeam does elderly care. (Disclosure: my company, Lux Capital, is an investor in Super, Pager, and HomeTeam.) So, again, why do we need robots to perform these services when humans seem to be doing them just fine? I don’t think anyone has a compelling answer to that question today, and home robots will probably evolve and transform themselves over and over until they find their way into our homes. Indeed, it took decades of automobiles until the Model T was born. The Apple IIs and PC clones of the early 1980s had difficulty justifying their lofty price tags to anyone who wasn’t wealthy, or a programmer. We need to expect the same from our first home bots. So it might be helpful to examine what problems engineers need to crack before they can attempt to build something like Rosie the robot. Below I discuss five areas that I believe need significant advances if we want to move the whole home robot field forward. Driverless cars will generate hard cash for their operators, so forking over thousands for an array of lidar, radar, ultrasound, and cameras is a no-brainer. 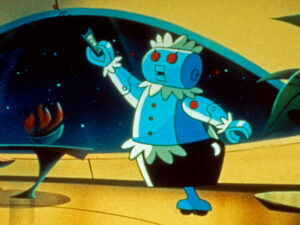 Home robots, however, may need to fit the ever-discretionary consumer budget. The array of sensors the robot would need to properly perceive its environment could render it cost prohibitive unless the sensors cost pennies as they do in mobile phones. MEMS technology dramatically lowered the cost of inertial sensors, which previously cost thousands of dollars and were relegated to aircraft and spacecraft. Can computer vision applied to an array of cheap cameras and infrared sensors provide adequate sensing capability? And can we expect lidar to come down in price, or do we need a whole new sensing technology? A startup called Dual Aperture has added a second aperture for infrared hence creating the ability to infer short distances. Meanwhile, DARPA is funding the research on chip-based lidar, and Quanergy expects to launch a solid-state optical phased array, thereby eliminating the mechanical components that raise the cost of lidar. We expect engineers to find creative ways to reduce the cost of existing sensing technology, while obviating others altogether, and hopefully making them as cheap as sensors in our phones today. Loose objects find their way into our homes because they are easy to manipulate with our hands. If we expect a robot to be able to clean and organize these objects as efficiently as humans do, it needs manipulators that are at least as effective as the human hand. Companies such as Robotiq, Right Hand Robotics, and Soft Robotics, among others, have designed efficient and reliable manipulators. Though air-powered inflatable grippers have the advantage of being soft and lightweight, they do require a pump, which is not very practical for a mobile robot. Efforts funded by DARPA at iRobot, SRI, and other labs and companies seem to be taking us in the right direction, helping robots get a grip. Opening doors, flipping switches, and cleaning up scattered toys are simple tasks for us humans, but compute-intense for machines today. 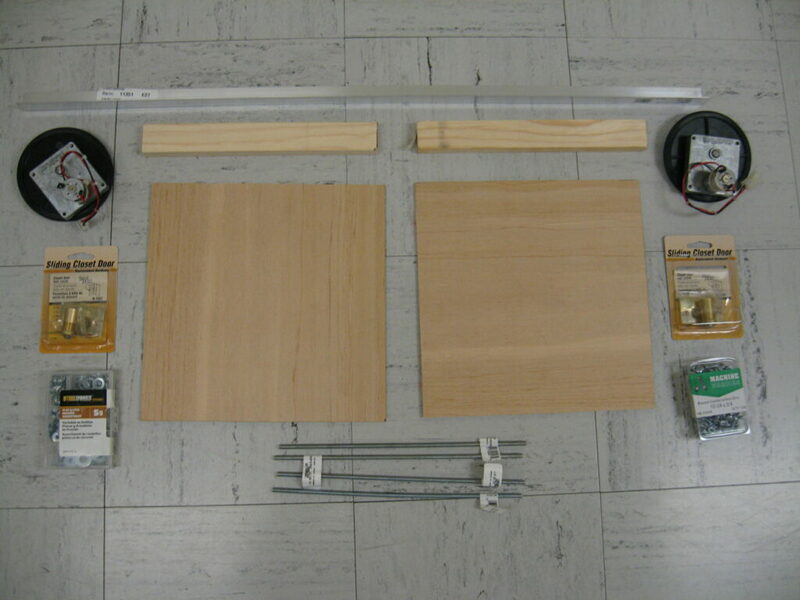 A robot like Roomba performs two tasks: running a suction motor and generating a path along what’s expected to be a flat surface with rigid obstacles. How about washing dishes or folding laundry? These tasks require a suite of capabilities ranging from recognizing objects, identifying grasping points, understanding how an object will interact with other objects, and even predicting the consequences of being wrong. DARPA, NSF, NASA, and European Union science funding agencies are sponsoring much-needed research in this area, but “solving manipulation” will probably require leveraging a number of different technologies, including cloud robotics and deep learning. Anyone who saw this year’s DARPA Robotics Challenge would appreciate how difficult of a problem it is to navigate and manipulate an unstructured, unknown environment. Those robots were slow. Though driverless cars pose a formidable challenge, it has been proven to be more tractable. Deep learning techniques can help robots recognize soft objects vs. hard obstructions, and human assistants may be able to “teach” robots until the algorithms take over. Like the manipulation problem, real-time navigation requires robots to quickly sense, perceive, and execute—probably several orders of magnitude faster that they DRC winning team is today. Full autonomy won’t happen overnight, but that isn’t a problem: humans can help robots get out of a bind. Willow Garage was a pioneer with its Heaphy Project, where assistance to robots is crowdsourced to remote operators. More robotics and industrial automation companies are embracing the notion of humans overseeing robots, with the expectation of going from the (superfluous) 1:1 human-robot ratio to a single operator being able to oversee/assist many robots. Looking for the perfect robot toy for your child? Here are the hottest robot toys for the 2015 Christmas season that are entertaining and educational. Are you struggling to find the perfect gift for the techie on your holiday shopping list? We’ve selected our pick of the best robot toys that are likely to have a fun, educational impact due to their cutting-edge features. be the perfect fit for people of all ages. We’d love to own every robot on the list, and you should too. The Star Wars BB-8 app-enabled Droid ($150) has an adaptive personality that changes as you play. Set it to patrol and watch your Droid explore autonomously, make up your own adventure and guide BB-8 yourself, or create and view holographic videos. The BB-8, which is built by Sphero, can be controlled via smartphone or table and it responds to your voice. Anki Overdrive ($150 for Starter Kit) is the second-generation of the popular robot racecars, debuting new cars, apps, new gameplay features and a new modular track system that lets users create custom racetracks. It also is the first time the product series allows iOS and Android users to battle eachother can now for the first time battle each other. A new modular track system allows you to clip together track pieces by connecting magnets. The Anki Overdrive kit comes with 10 track pieces that allow you to create eight tracks. One of the world’s smallest programmable robot toys, Ozobot 2.0 Bit ($69.95) is designed to teach kids how to program with an intuitive color-based programming language.Ozobot Bit can sense colored lines, detect patterns such as intersections, read flashing light codes, and execute a total of 500 commands. Ozobot Bit is basically identical to the original Ozobot, offering all the same capabilities, but it adds in Google’s Blockly coding editor. The idea is to have kids expand their coding know-how and see the results unfold in front of them in near real-time. Cubelets ($160) are robot blocks that make it fast and easy to engage children as young as four in learning by building robots. You don’t need to know anything about coding, all you do is snap the robot blocks together and the magnetic faces do the rest. Perhaps the best part is the included Brick Adapters connect to your favorite brick-based construction systems such as Lego. Dash & Dot ($200) interact with the world using sensors. They can hear sounds, detect objects, and know if you are moving them. They can be programmed to do anything you can imagine using a simple visual programming language called Blockly -Deliver a message to a friend, have a dance party, and even navigate through an obstacle course. The MiPosaur is one of WowWee’s many popular robot toys. Miposaur ($119 on Amazon) is a robotic creature with evolving intelligence and personality that can sense its environment. It comes with gesture control technology that allows you to control it with the swipe of your hand. Move your hand side to side to make MiPosaur dance or cover its eyes. MiPosaur comes with an interactive TrackBall that it plays with, using it to activate Feed, Chase and Guard modes. MiPosaur, compatible with both iOS and android smart devices, is fully interactive with the MiP robot and a BLE enabled app. Look for MiPosaur in the third quarter of 2015 for $120. Hasbro’s $99 Companion Pet Cat is available in three colors and has motion and light sensors to respond to touch. It even has “VibraPurr” technology to replicate a “realistic cat purr.” The Companion Pet Cat has sensors in its back, belly, cheek and head. Ollie ($99) is one of Sphero’s older robot toys, but it’s still loads of fun. Controlled via iOS or Android devices, Ollie can spin, drift, turn, flip and tumble over courses that you deigned. You can create custom trick combinations and design multiplayer games with friends. Ollie is protected by a durable polycarbonate shell and outfitted with glowing LED’s, so it’s ready to take on any terrain day or night. It connects to iOS or Android devices via Bluetooth LE and is powered by USB charging. 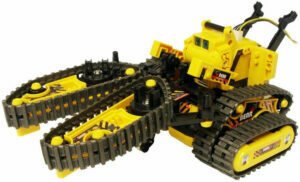 The 3-in-1 All Terrain Robot ($60) is a multi-function tracked mobile robotics kit that kids build themselves. Use different track modules and make your robot transform into three variations: the forklift, rover and gripper. 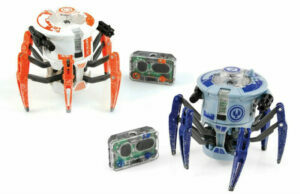 The Hexbug Battle Spider is a micro robotic spider for children ages 8 and up that measures 4 x 4 x 3 inches and only weighs four ounces. Although referred to as a spider, the Hexbug only has six legs that allow it to move in any direction. Its head can rotate 360 degrees, and it uses an LED light as an eye so you know where it is facing. It “shoots” LED light beams and an invisble infrared light. You’ll need two Hexbugs ($66) to engage in a battle. Each Hexbug can be hit with the light and after 10 hits it will shut down and needs to be restarted. When Harvard researchers first introduced their Kilobot project in 2011, they had built only 25 of the little robots. Two years later, they announced that they had made 100 robots. Now the researchers say they have built one thousand Kilobots—possibly the most robots that have ever been operating in the same place at the same time. The Harvard team is now teaching the robots to behave like a swarm, organizing and controlling themselves based on a set of simple rules, much like in biological systems. 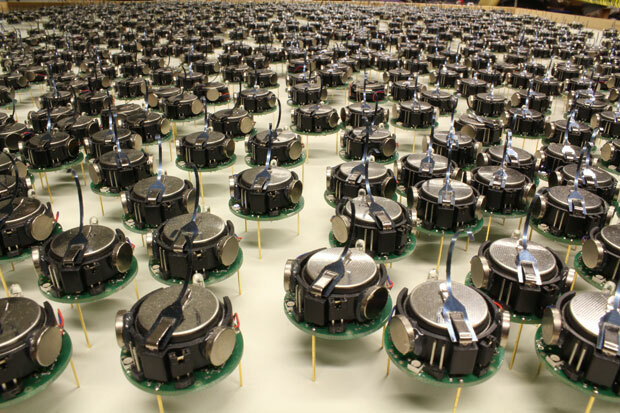 Learn how each Kilobot works and watch a video of the swarm forming different shapes. Robots are intimidating, and starting from scratch with them is hard, no matter what age you are. You usually have to learn both hardware and software at the same time to get a robot to do anything cool, and for people without a background in either of these things, surmounting that initial learning curve can be scary. BirdBrain Technologies, a spinoff from Carnegie Mellon’s Robotics Institute, has just released a new DIY kit called Hummingbird that promises to make building a robot as easy (and affordable) as possible. We really like the fact that everything’s included here, with a clearly marked board and color coded wiring. It’s also nifty that the wires just snap in and out, no soldering required, although (to be honest) soldering is not that hard and building simple robots is a great excuse to learn how. But you know, for kids (or clumsy adults), soldering might not always be the safest way to go. On the software side, the kit comes with a Java-based drag-and-drop visual programming interface that doesn’t require any previous experience at all, and anyone with a passing obsession with their iPhone should be able to get it working in no time. There’s a demo video here. 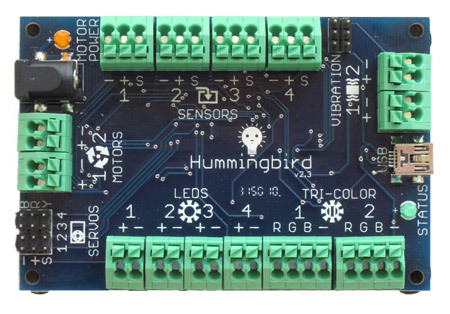 The Hummingbird kit is intended for kids of ages 10 and up, although it’s not a bad way for people of any age to get familiar with getting hardware and software to work together. At $199 each, it might be a little more realistic to see the kit become part of an educational curriculum as opposed to something that kids will be able to buy for themselves, but if you’ve got a budding roboticist in your family who you’d like to foster, we’d say that this would be a pretty good investment. Was just told about a website for Lego NXT Robots that I just had to share. Damien Kee has a wonderful site and also sells books/Curriculum for using NXT in the classroom. According to a second seller the motor goes 1/2 speed at 12v. Seems to be a perfect motor for a very simple robot base. Time will tell…..
Servo motors have been around for a long time and are utilized in many applications. They are small in size but pack a big punch and are very energy-efficient. Because of these features, they can be used to operate remote-controlled or radio-controlled toy cars, robots and airplanes. Servo motors are also used in industrial applications, robotics, in-line manufacturing, pharmaceutics and food services. But how do the little guys work? To fully understand how the servo works, you need to take a look under the hood. Inside there is a pretty simple set-up: a small DC motor, potentiometer, and a control circuit. The motor is attached by gears to the control wheel. As the motor rotates, the potentiometer’s resistance changes, so the control circuit can precisely regulate how much movement there is and in which direction. When the shaft of the motor is at the desired position, power supplied to the motor is stopped. If not, the motor is turned in the appropriate direction. The desired position is sent via electrical pulses through the signal wire. The motor’s speed is proportional to the difference between its actual position and desired position. So if the motor is near the desired position, it will turn slowly, otherwise it will turn fast. This is called proportional control. This means the motor will only run as hard as necessary to accomplish the task at hand, a very efficient little guy. 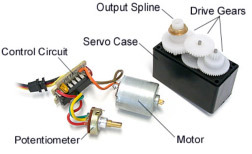 There are two types of servo motors – AC and DC. AC servo can handle higher current surges and tend to be used in industrial machinery. 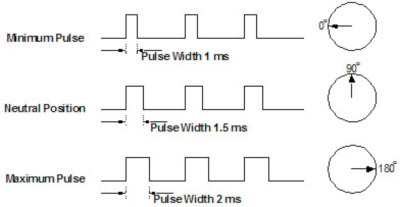 DC servos are not designed for high current surges and are usually better suited for smaller applications. 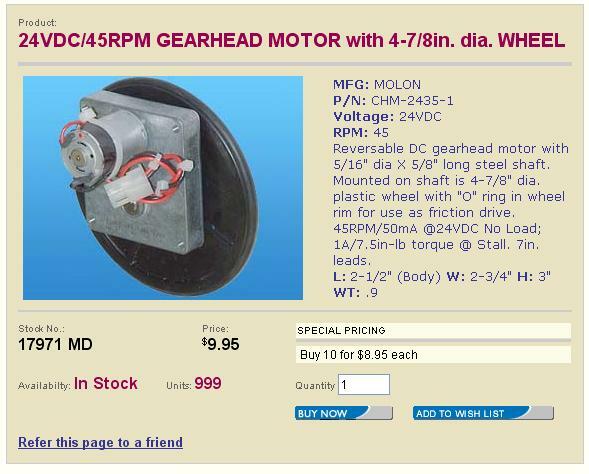 Generally speaking, DC motors are less expensive than their AC counterparts. These are also servo motors that have been built specifically for continuous rotation, making it an easy way to get your robot moving. They feature two ball bearings on the output shaft for reduced friction and easy access to the rest-point adjustment potentiometer. Of course, you don’t have to know how a servo works to use one, but as with most electronics, the more you understand, the more doors open for expanded projects and projects’ capabilities. Whether you’re a hobbyist building robots, an engineer designing industrial systems, or just constantly curious, where will servo motors take you?